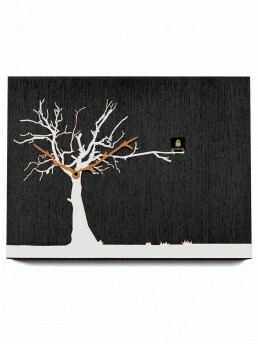 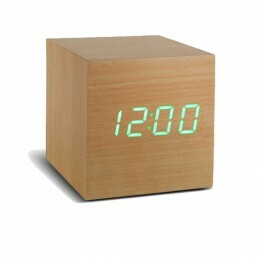 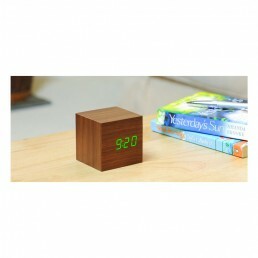 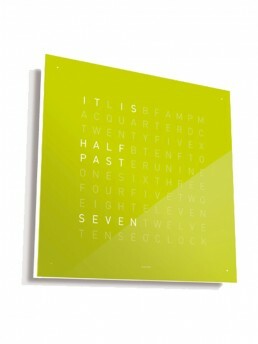 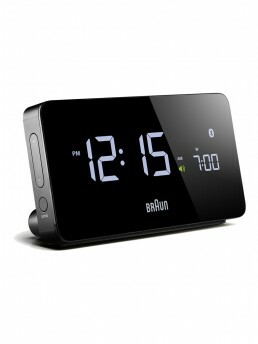 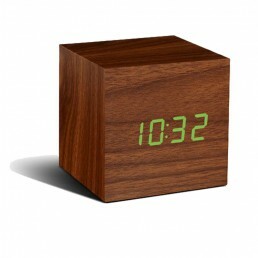 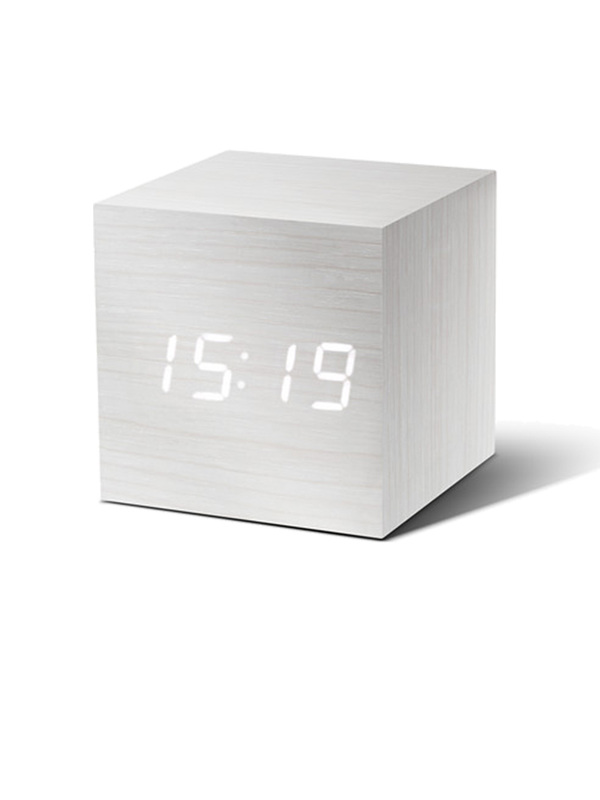 Time can be smart, clever, ultra-stylish, functional and simple with this Click Cube Alarm Clock from Gingko . 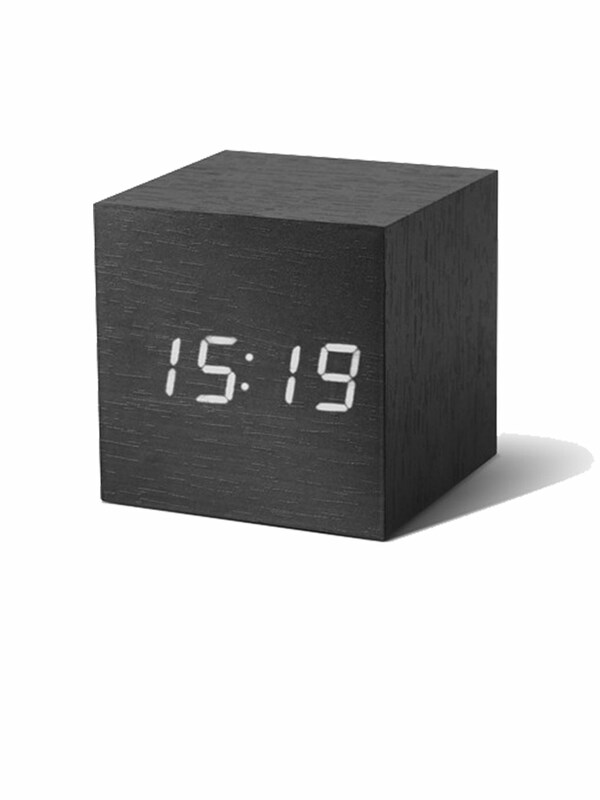 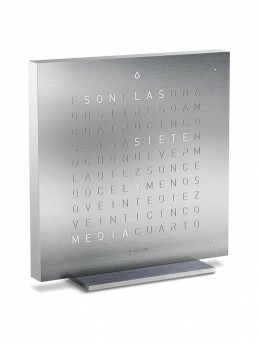 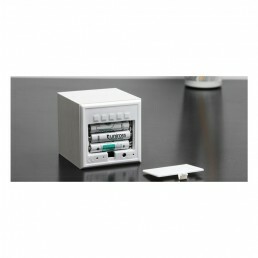 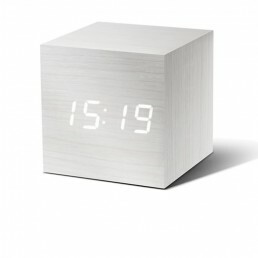 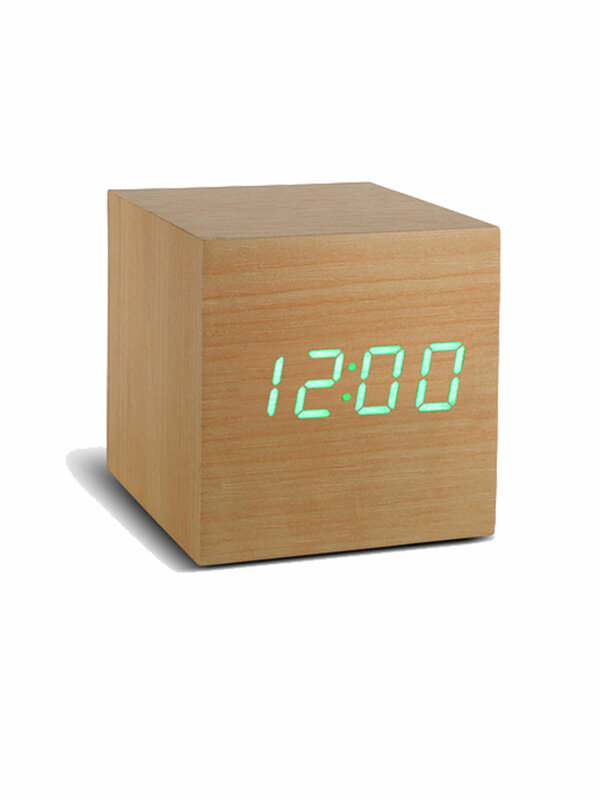 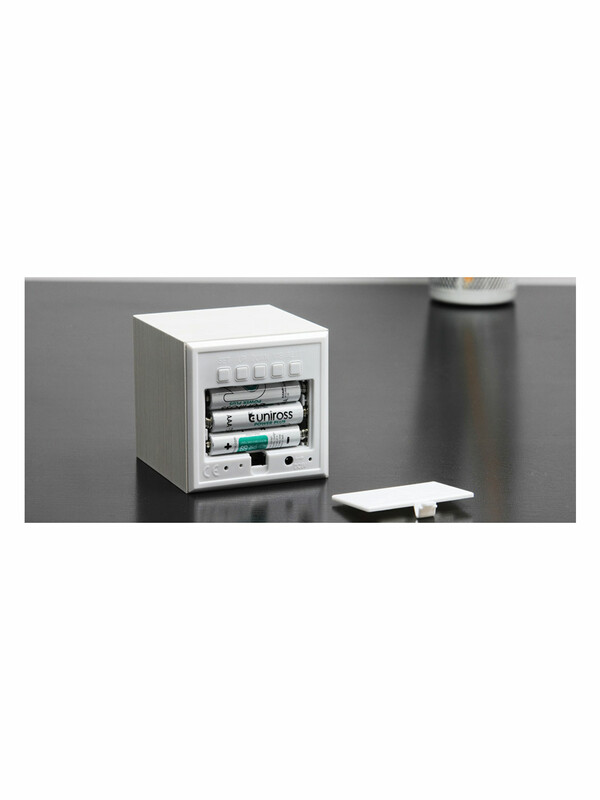 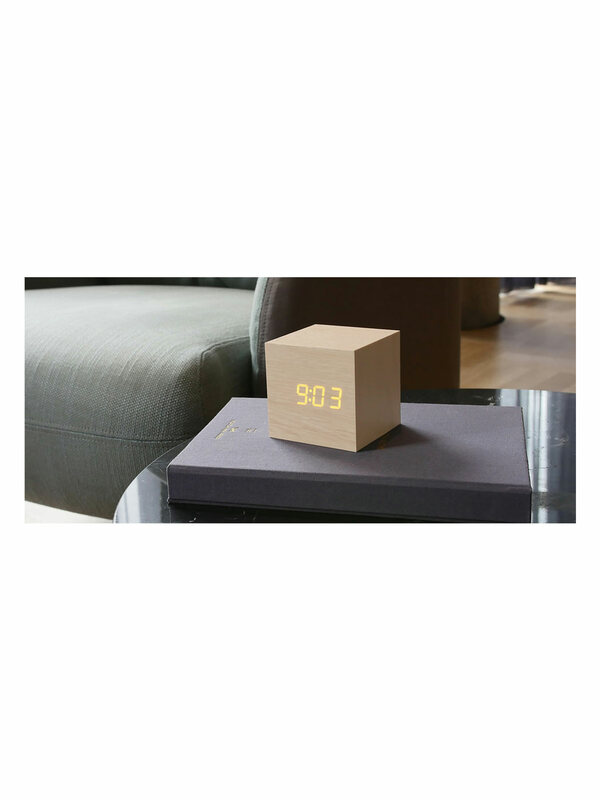 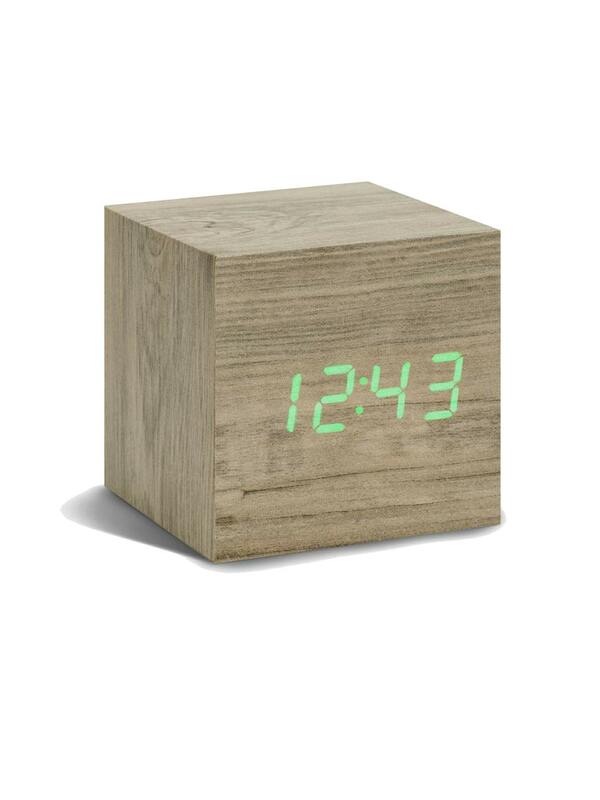 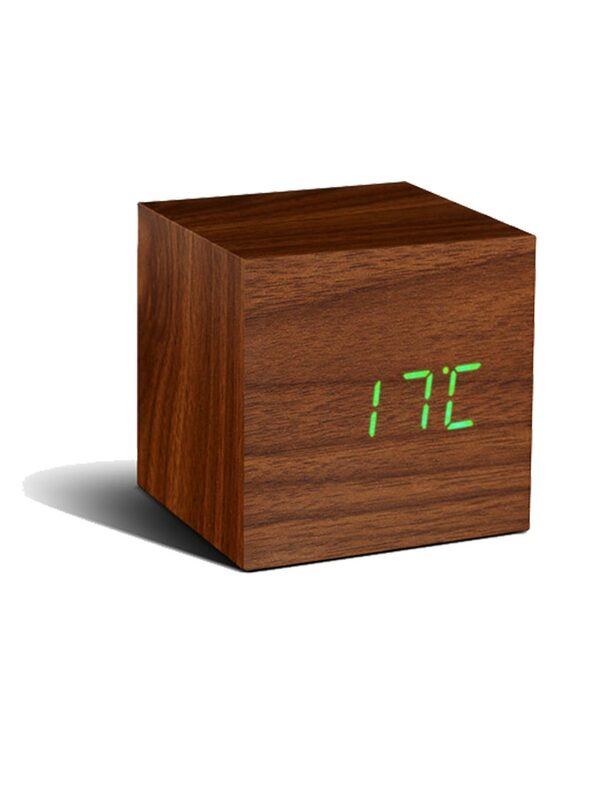 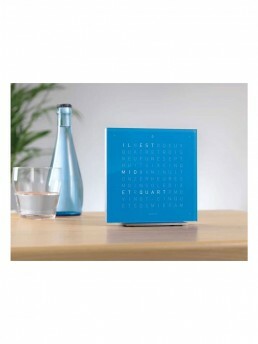 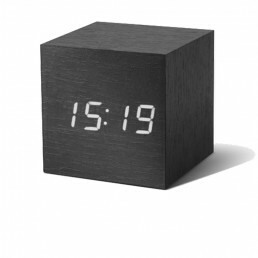 This cube click clock can tell you the time, date and temperature alternately in smart white LED color on an aluminium effect cube block at the click of your fingers and automatically switches off when the room is quiet, lighting up again when the alarms goes off or as a response to clicked fingers or clapped hands. 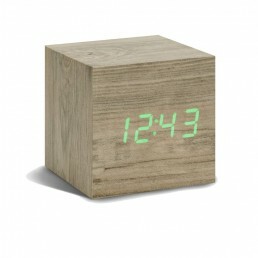 The numbers seem to float on the lovely wooden block, but that’s just half the magic of the cuboid with a conscience. 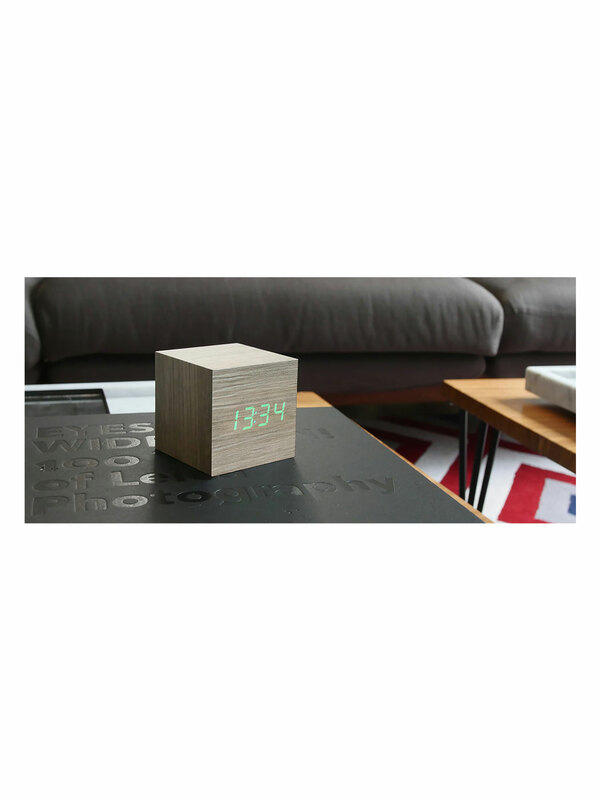 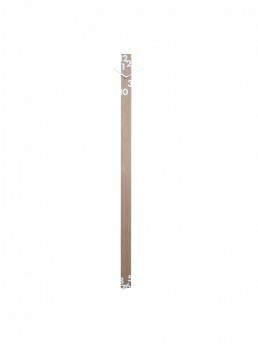 We think it’s the perfect, unique and clever home accessory, especially if you don’t like a bright light shining in your bedroom at night. 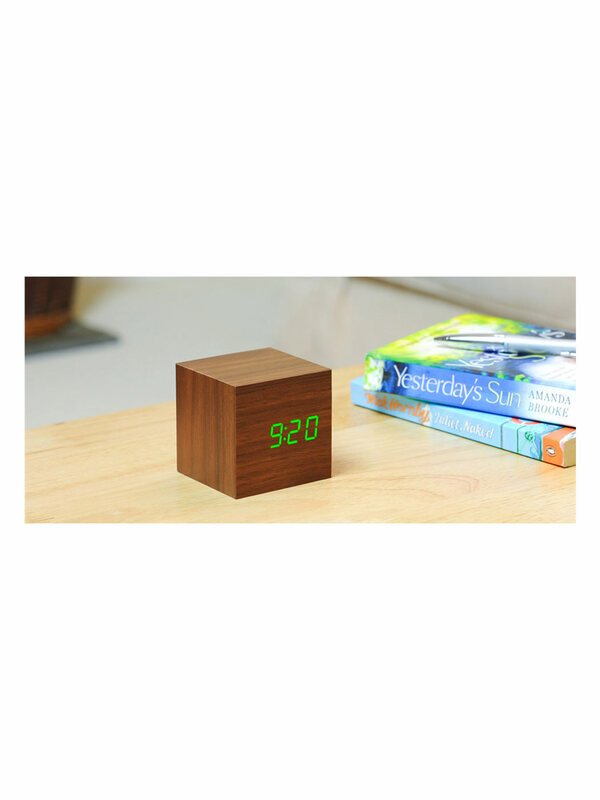 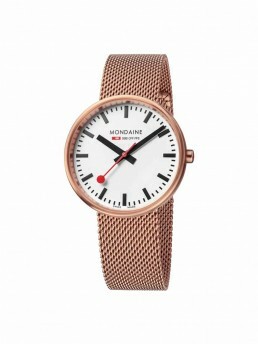 But if you need to check the time, you can just click your fingers or gently tap your bedside table and the time will appear, so you don’t have to struggle to find your smartphone in the darkness anymore. 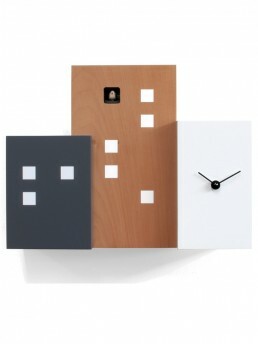 Small, but smart; simple, but clever.